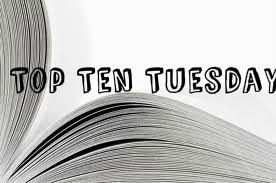 Top Ten Tuesday is a weekly meme hosted by The Brooke and the Bookish! This weeks topic is Top Ten Inspiring quotes from Books. 1. "Why is it windy in here?" she asked. "Why is it windy anywhere?" Nick answered. "It's not wind at all," Cath said. "It's what we feel when time suddenly jolts forward." 2. "The tricky thing about fear is: It wears a different mask everyday." 3. "But everyone has some kind of power to hurt people" (...) "It doesn't mean they do." 4. "I love that nature reclaims all in the end. Men made this building, but she'll take it back. It's a reminder that everything is temporary. We're all so very, very temporary in the grand scheme of things." 5. "Libraries were full of ideas. Perhaps the most dangerous and powerful of them all." 6. "You could rattle the stars. (...) You could do anything if you only dared." 7. "That's the thing about pain. It demands to be felt." Have not been invented yet." 9. "We've all got both light and dark inside of us. What matters is the part we choose to act on, that's who we really are." 10. "Only the very weak-minded refuse to be influenced by literature and poetry." What are some of your inspirational quotes? The quote from Harry Potter is from Sirius Black!!!!!!! !